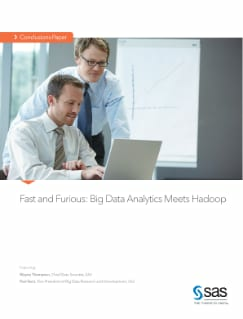 How do you extract insight, trends and meaning from all that big data in Hadoop? Getting relevant information in seconds (instead of hours or days) from big data requires a different approach. In a presentation at the 2014 Strata Santa Clara big data conference, SAS data experts demonstrated visual and programming-based approaches using SAS Visual Statistics and SAS In-Memory Statistics for Hadoop.